Most Asian stock markets were trading lower, following a concerning PMI report out of China, the region’s largest economy, and declining risk appetite. The US Senate turned down both the Democratic and Republican alternative bills to the sequester, allowing the spending cuts to come into action today. Those who are unfamiliar with the term, the sequester is defined by the US Federal Budget as "the practice of using mandatory spending cuts in the federal budget if the cost of running the government exceeds either an arbitrary amount or the gross revenue it brings during the fiscal year." These automatic federal budget cuts are officially kicking in today. The EUR is trading higher against other major currencies this morning ahead of manufacturing Purchasing Managers’ Index (PMI) data across Europe and the US due later today. 09:30 Manufacturing PMI (UK) – Previous: 50.8, forecast: 51.0. The Manufacturing Purchasing Managers' Index (PMI) measures the activity level of purchasing managers in the manufacturing sector. A reading above 50 indicates expansion in the sector; below 50 indicates contraction. 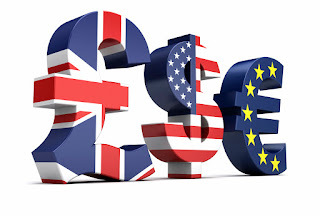 10:00 CPI Flash Estimate (EU) – Previous: 2.0%, forecast: 2.0%. It indicates the change in the price of goods and services purchased by consumers. 10:00 Unemployment Rate (EU) – Previous: 11.7%, forecast: 11.8%. The Unemployment Rate measures the percentage of the total work force that is unemployed and actively seeking employment during the previous month. The data tends to have a muted impact as there are several earlier indicators related to labor conditions in the euro zone, but it pays to keep an eye out on it though. 13:30 GDP (Canada) – Previous: 0.3%, forecast: -0.2%. Gross Domestic Product (GDP) measures the annualized change in the inflation-adjusted value of all goods and services produced by the economy. It is the broadest measure of economic activity and the primary indicator of the economy's health. 15:00 ISM Manufacturing PMI (US) – Previous: 53.1, forecast: 52.7. The Institute of Supply Management (ISM) Manufacturing Purchasing Managers Index (PMI) rates the relative level of business conditions including employment, production, new orders, prices, supplier deliveries, and inventories. The data is compiled from a survey of approximately 400 purchasing managers in the manufacturing industry. On the index, a level above 50.0 indicates industry expansion, below that indicates contraction.